There's more than one "Amy" people are talking about on the big screen right now. Amy Schumer's "Trainwreck"might be sweeping the comedy train, but the documentary "Amy" is a terrific yet tragic reminder of the talent and powerhouse voice the late Amy Winehouse possessed. Seeing this film on the big screen is like seeing Amy Winehouse in concert. It’s pretty remarkable the footage that we get to see. Winehouse wasn’t just a jazz singer, she was a musician, a brilliant songwriter and thoughtful poet. The film is also a frightening reminder of how her life unraveled in the public eye, with the lack of media sensitivity. I admit that I gawked at Perez Hilton every time there was a Winehouse post – it was impossible to get enough of her personality - those catchy bluesy tunes, thick eyeliner and beehive hair. You leave this film really feeling the weight of Amy’s tragic story. Amy's romance with ex-husband Blake Fielder-Civil is portrayed much like that of Kurt and Courtney, Sid and Nancy, and the like. One party is blamed for the downfall of another, but their misery seemed to be a comfort zone for them. Just when her family, friends and managers try to intervene and help her get healthy, he sneaks heroin to her in rehab. It's suggested that Amy's troubles with men stem from an absent father figure during her childhood. It's also revealed that she had a pretty serious battle with bulimia, which ultimately played a contributing part in her death. We know how her story ends, though we can’t help but wish it was all a hoax. She takes a turn for the better - records a duet with her idol Tony Bennett, wins 5 Grammies, catches the eye of a hot new beau - but ultimately this is not enough. The demons she battled for 27 years catch up to her. Amy is a member of the “27 Club,” which includes Brian Jones (Rolling Stones), Jim Morrison (The Doors), Jimi Hendrix, Janis Joplin and the aforementioned Kurt Cobain. 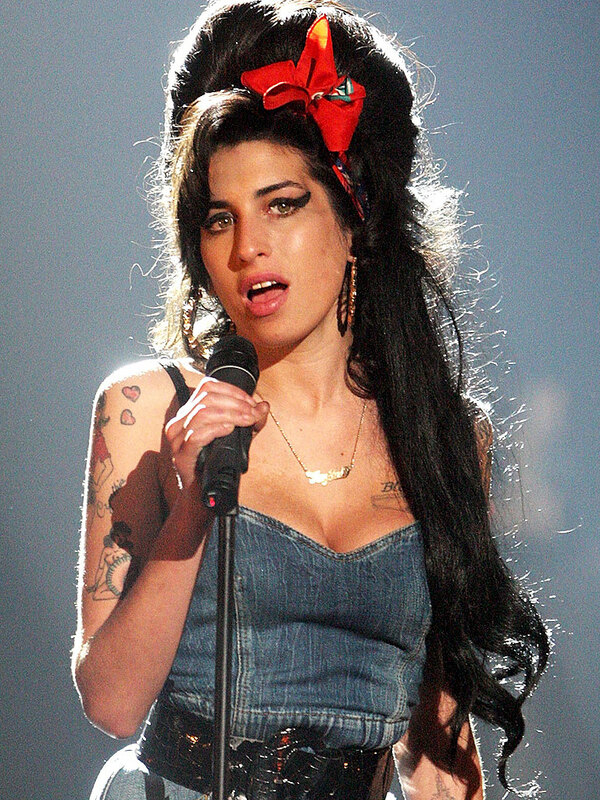 Fans of Winehouse’s music will appreciate seeing this film, but diehard Amy fans may leave in tears. It’s a good film, but not easy to watch.